That, my friends, is what I would call a definite downward trend -- and for a post that, at its high point, received 10,000 views per month. Maybe it looks familiar. And maybe it doesn't, but it looks like something you want to avoid at all costs. Either way -- if you're a marketer that plays any role in managing your brand's blog -- read on. We're going to go over some of the ways to avoid that big, scary traffic trend above -- or to prevent it from happening again, if you've seen it before. 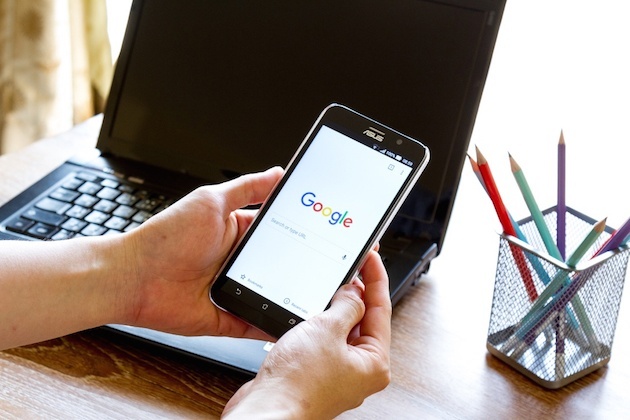 First, we'll begin with the questions you should ask if you've noticed your SEO rankings drop. Then, once we've covered all those bases, we'll get into how to proactively stay on top of your rankings, to get into good habits that can help you maintain your blog's SEO health. 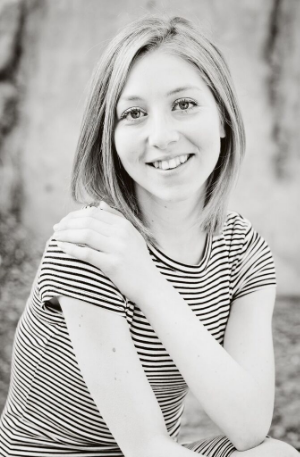 Ready to get into diagnosing those problematic blog posts? Let's get started. 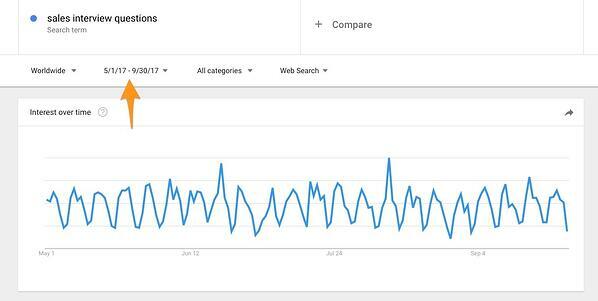 Is the search term itself losing traction? Has the post declined in the rankings for a major keyword? How recently have you updated the post? How recently have you promoted the post in an email? 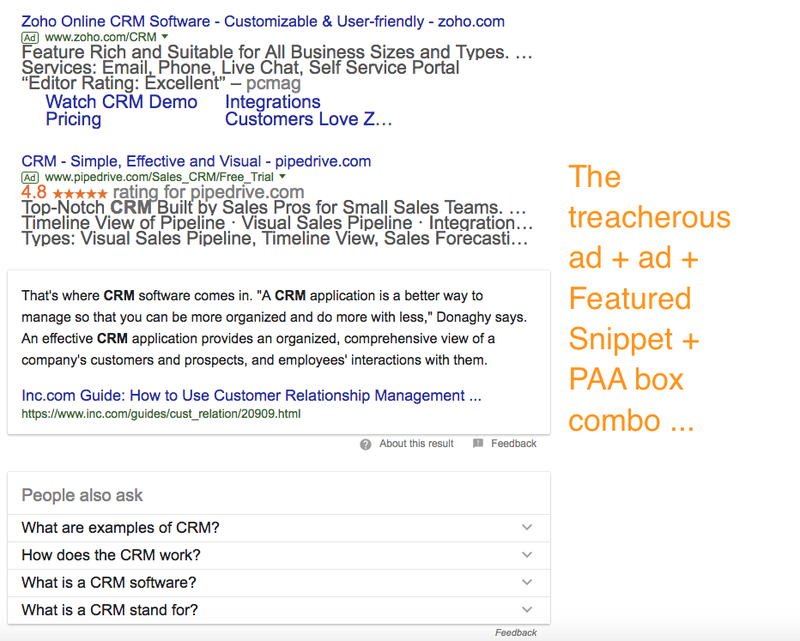 Are the posts that have surpassed it in the SERPs higher-quality, i.e. more comprehensive, more examples, better graphics/visuals? Are you getting fewer backlinks than your competitors/has your number of backlinks declined? What if your ranking hasn’t dropped? 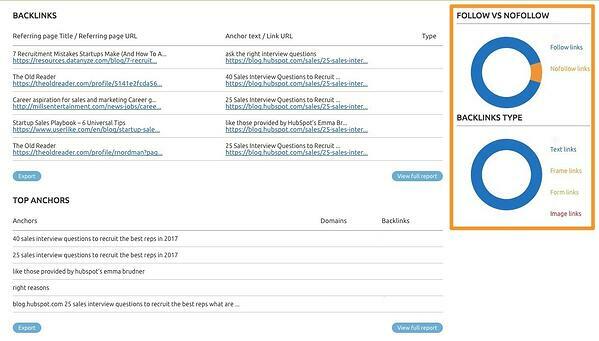 To demonstrate how this works, I’ll be diagnosing "40 Sales Interview Questions to Recruit the Best Reps in 2017," which got nearly 24% fewer views in September than May. 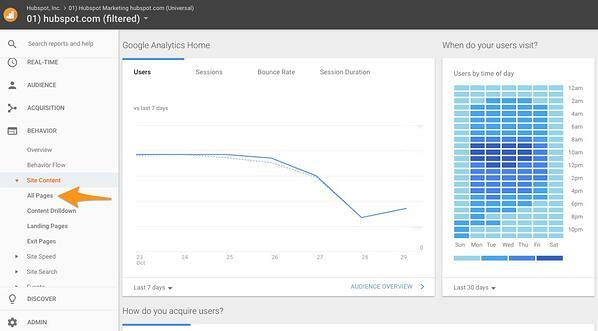 You'll need access to Google Analytics and SEMrush to follow these steps. 1. 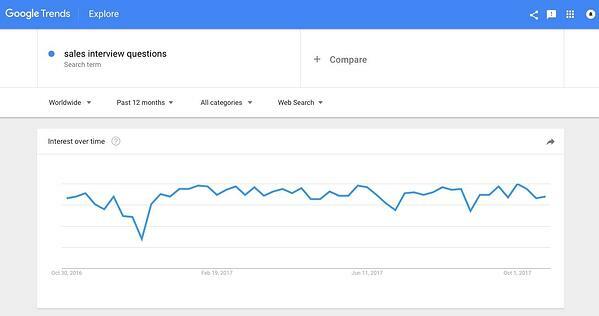 Is the search term itself losing traction? Go to SEMrush and enter the post URL into the top search bar. Google Analytics (GA) doesn’t pull the “https://” part of a URL, so make sure you manually enter it. Go to Google Trends and enter that keyword. The default time range is one year. You may need to change the date to see more micro trends; I went with 5/1/2017 to 9/30/17 to see the May through September changes. If interest in the term is steady -- or up and to the right -- it’s the post, not your audience. 2. Has the post declined in the rankings for a major keyword? Export this list as a CSV. Don't exit the SEMrush page with the rankings for the post you're analyzing – you'll be coming back to it in a bit. Pull up the SEMrush window again. Change the date range to the most recent month. Export this list as a CSV. Delete columns D-K. 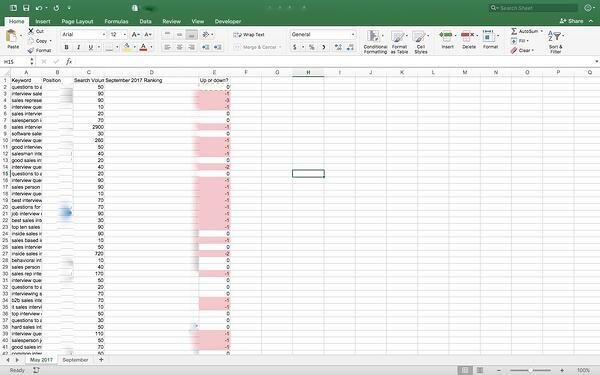 Copy and paste the contents of this spreadsheet into a tab on the first spreadsheet. Rename the tab “[Most Recent Month] [Year]” (“September 2017”). Insert this formula into cell D2. 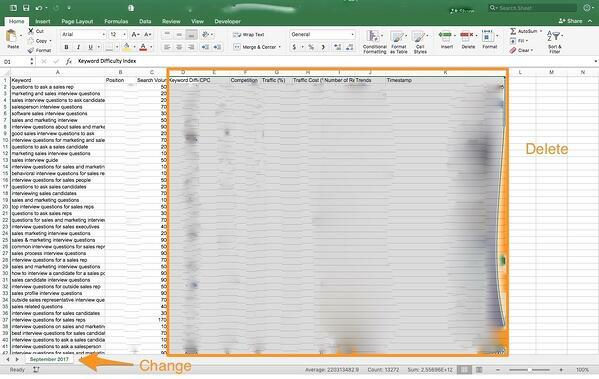 Click the small box in the lower right-hand corner to apply the formula to the remaining rows. Now every negative rank change is highlighted in red. Notice any particularly high-volume keywords you dropped in rank for. 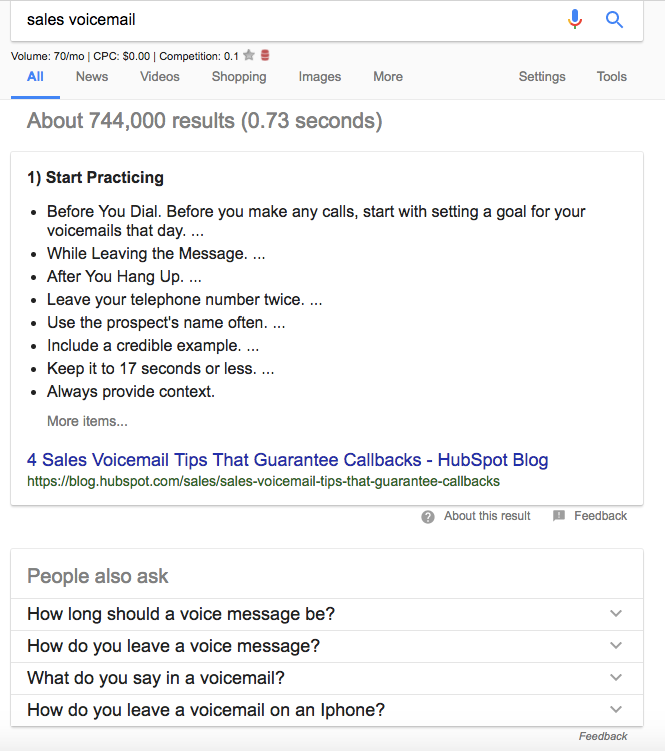 In this case, we went from #1 to #2 for "sales interview questions" (2900 monthly search volume) and from #1 to #3 for "inside sales interview questions" (720 monthly search volume). 3. How recently have you updated the post? If you haven't touched it in over six months, a fresher and more comprehensive link might be winning. Action item: Update the post with additional content, more recent links, etc. 4. How recently have you promoted the post in an email? 5. Are the posts that have surpassed it in the search engine results pages higher-quality; e.g., more comprehensive, more examples, better graphics/visuals? That probably means their time-on-page is higher and bounce rate is lower. They may be getting more referral traffic than you as well. 6. 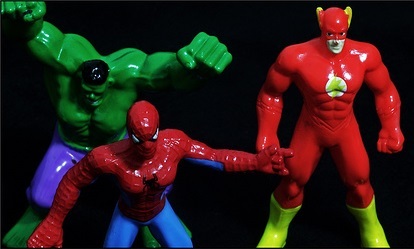 Are you getting fewer backlinks than your competitors/has your number of backlinks declined? As websites disappear or change, you naturally lose backlinks. Action item: Quote one or more influencers -- either by pulling from something they’ve published, or reaching out for a direct quote -- then, ask them to share the post with their audiences. 7. What if your ranking hasn’t dropped? See if the keyword now has a search feature. These typically appear in what's known as the “position zero” slot, meaning everything below is bumped down. Suddenly, the #1 ranking is in second place. Action item: Try to improve upon the current FS. Can you provide the same information but with less jargon? With more detail? Greater accuracy? This obviously changes on a case-by-case basis, but usually, the snippet isn’t perfect. See if there's an ad -- or several. Paid results can also -- sometimes simultaneously -- be at fault. Unfortunately, there isn't much that can be done about these paid results -- except to just accept the dip in traffic. Google Search Console can also help diagnose the issue. Next, click “Pages” → “Filter Pages” → “URLs Containing”, then paste the URL of the post you’re analyzing. “URLs Containing” is preferable to “URL is exactly” because you don’t want to miss any modified versions of that URL, i.e. one with UTM parameters. Then, click “Dates” → “Set date range” → “Last 90 days” -- that’s as far back as Google will go. Aha! Here's the issue. In late September, clickthrough rate (CTR) started falling. 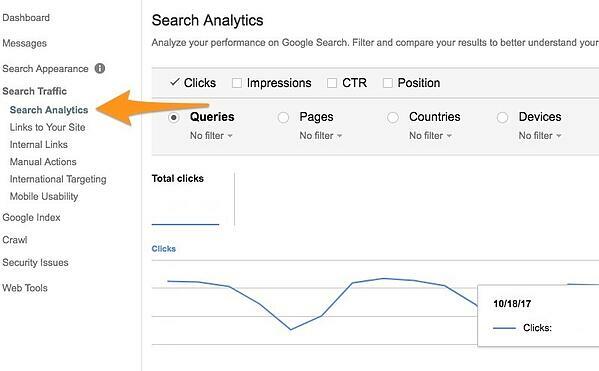 If impressions are steady, but your clicks (and therefore CTR) are dropping, your rank is dropping and/or a search feature is pushing your result farther down the page. If impressions are decreasing, but clicks and CTR are constant, seasonality/declining search interest is probably to blame. Verify with Google Trends. If impressions are increasing and CTR is dropping, meaning clicks aren't growing proportionally higher, check if you're ranking for an image. You should also check whether your post has started ranking for more long tail keywords -- ranking for more keywords, while a good thing (topics/over keywords), will always lead to higher impressions, but clicks may suffer as you may not always rank highly for those longer tail keywords. 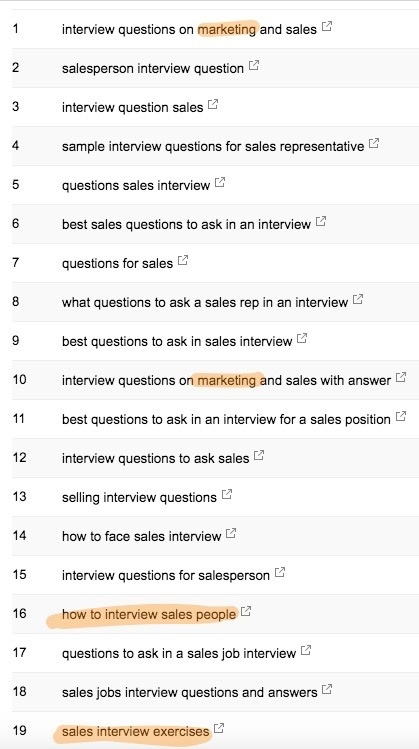 Now scroll down and look at the most common queries leading people to your page. Does the content on the page reflect what they’re looking for? I've highlighted the queries this post will not answer. Decide whether it's worth updating the post to address these content gaps. Since this one is about interviewing salespeople, not marketers, I'm not going to add marketing interview questions – that'd be too out of left field. And since "sales interview exercises" sounds like an entirely separate post, I'm not going to add that in, either. However, sometimes you find a relevant angle that's missing from your post. When that's the case, by all means, go ahead and include it -- it can only help. If you're a blog editor, writer, or manager, I recommend running a report at the end of every month to see which of your property's top URLs have lost traffic. The first time you do this analysis, pick your highest-traffic month from the past half-year. Using a medium- or low-traffic month will give you a more conservative estimate of which URLs have declined in organic traffic, which may disguise pages in trouble. Add your segment and select your date range. Open your spreadsheet, name the first tab “[Month] [Year]”, then rename Column B “Views [Month] [Year]”, and delete all other columns. Open your spreadsheet, rename Column B “Views [Month] [Year]”, and delete all other columns. 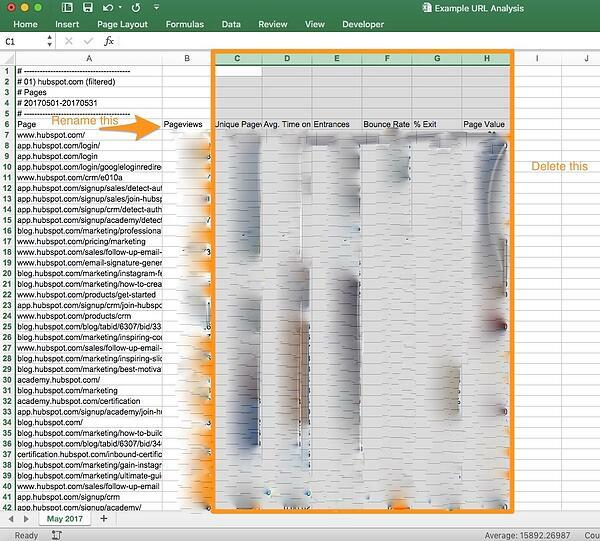 Copy the contents of this spreadsheet, then paste it into the second tab of your highest-traffic month spreadsheet. Name the second tab “[Month] [Year]”. 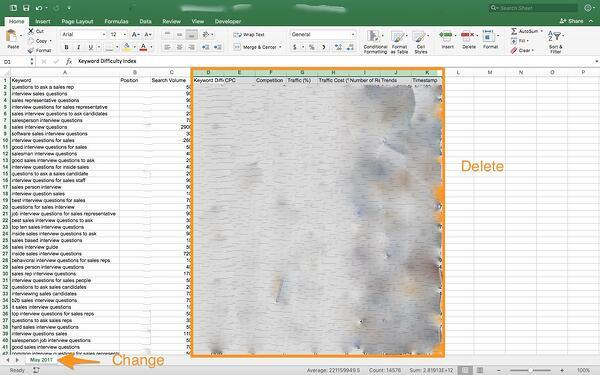 Click the box in the right-hand corner of the cell to apply this formula to the remaining rows. Apply the formula to the remaining rows. Click “Conditional Formatting”, “Highlight Cell Rules,” “Text that Contains…” and set “Specific text” “containing” “Yes” to red. 1. 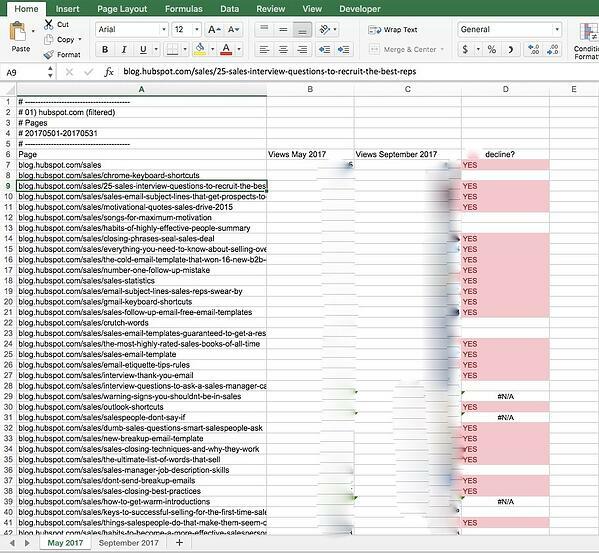 Every month, run a report to identify the top posts that have declined in traffic. 2. Determine whether the search term is declining in traffic (nothing you can do) or whether the post itself is dropping in rank (lots you can do). 3. If it's the latter, diagnose the specific issue(s) using SEMrush and Google Search Console. Yes, this process is a time- and energy-intensive one. But it's easier to fix your car than buy a new one -- and hope you haven't gotten a lemon). Performing maintenance on your blog's greatest hits takes fewer resources than writing a net-new one ... and is usually far more successful.